Anibar has always been focused in increasing the interest and encouraging young people and young artists to experiment and work with computer arts, especially animation. 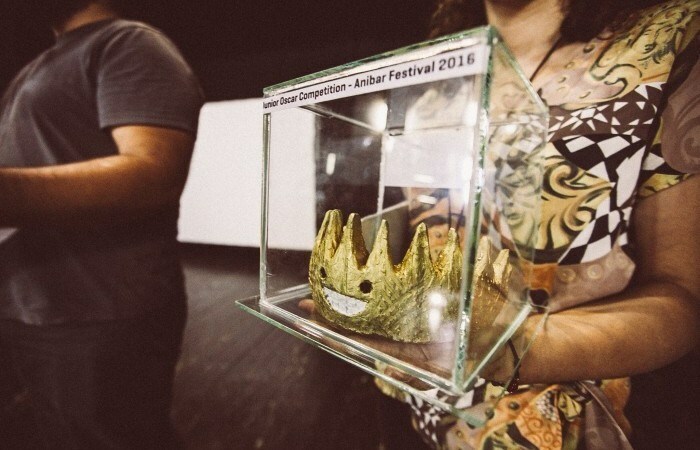 This initiative is especially strong during Anibar International Animation Festival during which by programming many different activities related to animation, cinema, music, environmental culture, and training formats like workshops, master classes, and case studies, Anibar pushes for the development of film production in Kosovo. Among other activities, this year during our festival we hosted Junior Oscar Competition in collaboration with IPKO Foundation and with the support of Kosovo Basic Education Program from USAID. What we at Anibar and the people at IPKO Foundation wanted to achieve was the stimulation of as many young students to participate in the process of making a motion picture. All the students worked in groups and were from classes 1-9 which means this was an activity that introduced them to the process of making a film. The subjects were selected based on the issues that surround them. This was a way for them to develop their creativity and introduce them to the world of film and technology. IPKO Foundation Sponsorship Program has been very supportive since day one, offering everything they can to make the best version of this activity. In the process of making a film, technology is very crucial and IPKO Foundation has always been very supportive of anything related to spreading awareness of the importance of technology and peeking an interest in the young minds about the world of technology and what they can do with it. Developing a film in our country is difficult especially at a young age, and IPKO Foundation is helping develop a desire and stimulate young students to learn and participate in such activities. Programs like Junior Oscar and similar programs that Anibar and IPKO Foundation offer and support especially with young students and children, cultivate a desire to learn more about films, technology, and other areas at a young age. Junior Oscar is a perfect example of how students that are involved in such activities can help in the developing of a culture and greater future. An indicator for this can be the high number of films produced by the participants which was 68 films! The impact that this activity had was seen at the awards ceremony where the students were very excited and appreciated the opportunity to be part of the process of making a film and understand the technology and the artistry needed in creating a film. We feel thankful to have been beneficiaries of IPKO Foundation Sponsorship Program, since they have the lead role in spreading awareness of the importance of technology in Kosovo, therefore partnering up with the great team of IPKO Foundation has been a great addition to our program and an important asset in achieving our purposes which are very similar to those of IPKO Foundation.